Two things that will absolutely jack up my sleep is being cold or being in pain. Put them together and it's going to be a rough night and a pretty cranky next day. 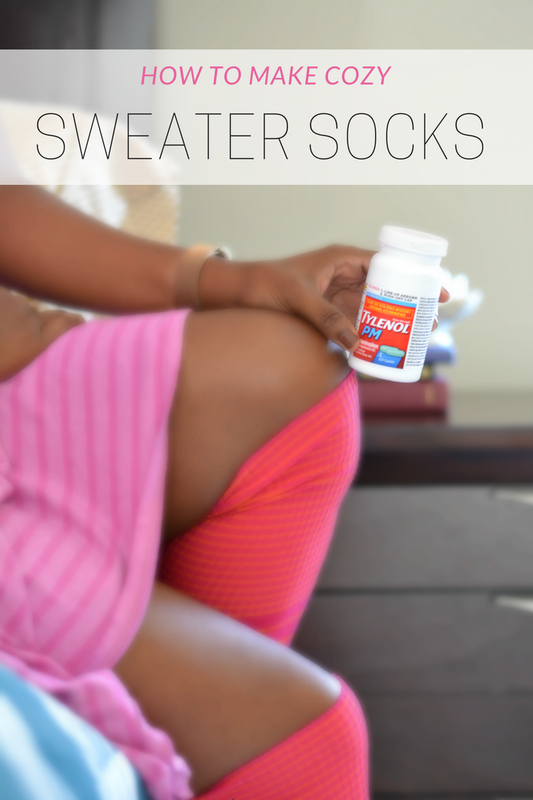 Luckily, I've found the solution to my sleep problems with TYLENOL® PM and cozy socks made from sweaters. If I don't get enough sleep, I know I will spend the next day clutching a coffee mug and unable to focus on anything other than crawling back in the bed. Sleepless nights are brutal when you need to chase a puppy around, help with second grade homework, cook dinner and do all the things that go into mom life. A couple of nights ago, I had a horrible time finding the sleep. I started a new workout routine. I do enjoy switching it up and pushing myself to new levels. However, those first workouts always leave me with sore, achy muscles. It's good but also bad. The good comes from climbing into bed knowing that I truly worked hard. The bad comes when I can't get comfortable because my well used muscles are tightening up and making it difficult to stay asleep. 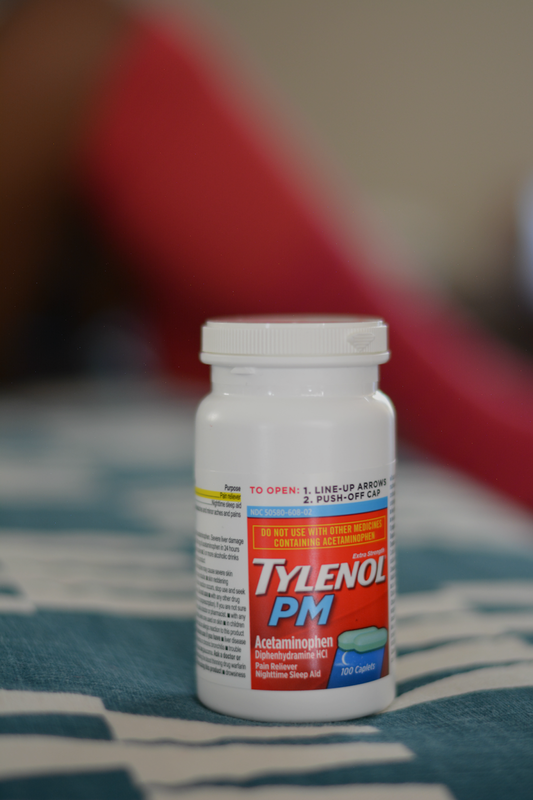 I was able to get relief from my sore muscles with TYLENOL® PM. I'm so glad I added it to the medicine cabinet. It relieved the pain and the sleep aid quickly helped me find my sleep groove again. With daylight savings rolling around this weekend, I definitely want to make sure I'm getting a great's night sleep. Having fewer daylight hours makes it harder for me to hit the ground running. I am not a morning person so I want to make sure I am sleeping well leading up to the fall back. Great sleep refreshes and helps me stay energized so I don't feel like I've 'lost time'. 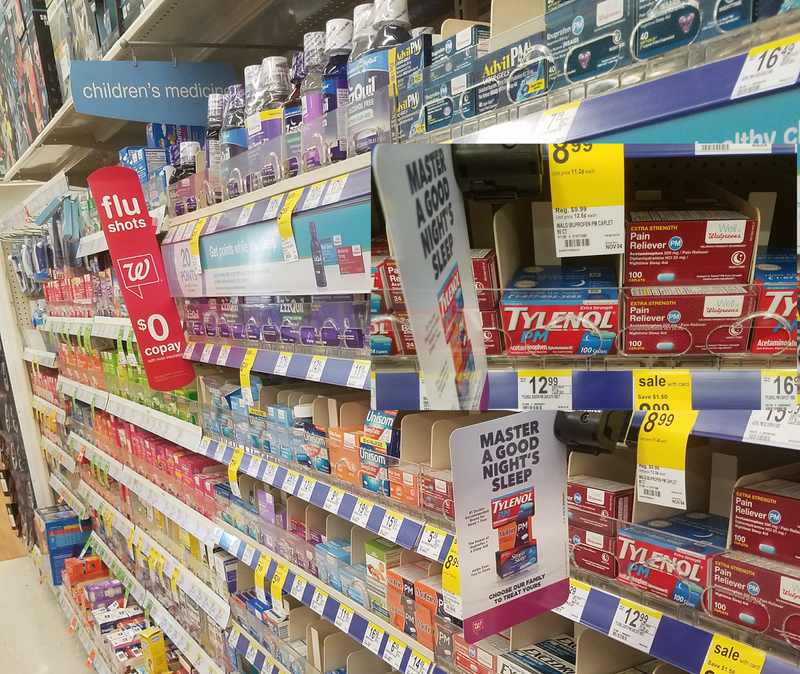 If you'd like to add TYLENOL® PM to your medicine cabinet, TYLENOL® PM100 is $11.99 ($1.50 off with Walgreens card) beginning November 5 until November 11th. To find out more about TYLENOL® pain relievers, you can visit them on Facebook or Youtube. 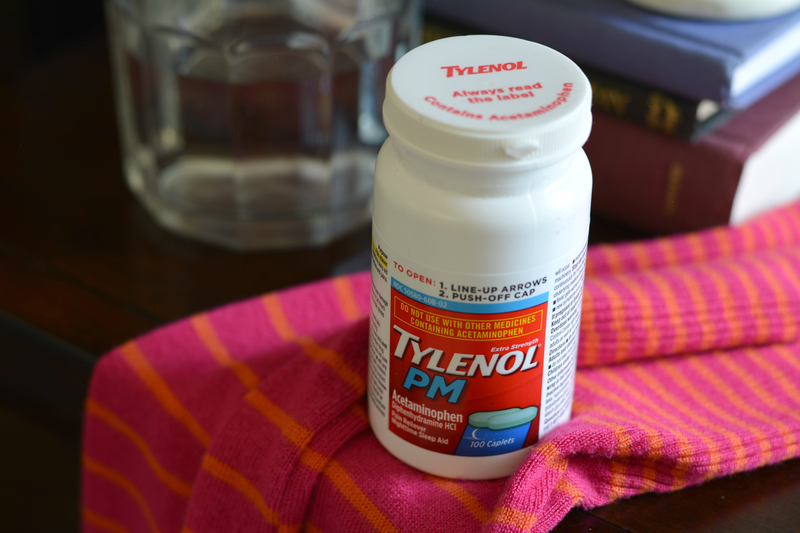 TYLENOL® PM won't keep me warm though. My sleep is thrown off if I feel the slightest chill. I'd keep the thermostat locked at 80° all day if heat was free. It's not free so I must layer up and pull out a pair of my sleep socks. Sweaters make excellent socks to sleep in. They're warm and very cozy. They're easy to make and a perfect use of old sweaters especially the thick, soft ones. Use cashmere if you can find some cheap ones at the thrift store. They feel amazing. Instructions: 1. Cut the sleeve off of the sweater. Turn them inside out. 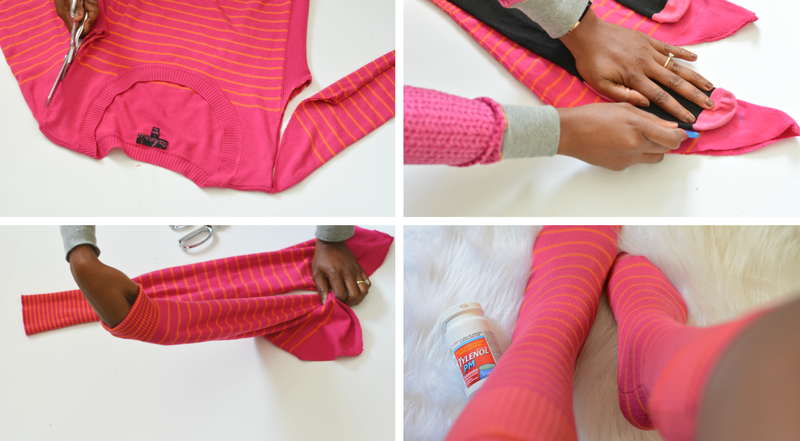 Place your sock on top of the cut end of sleeve. Trace or pin the outline. Sew the cut edge of sleeve along the traced edge. Done. How do you ensure a great night's sleep? Does daylight savings effect your sleep?